Spinning was something that occupied every woman in ancient culture. It could be taken with you everywhere, in the same way that the women of my mother's age all knit. I anticipate your protest, that women today knit. That is true, but often the cost of the materials is equal to the cost of a finished product so there is no commercial value to knitting. It has lost the function that it had in the last generation. However, in addition to spinning, women wove. Weaving was an essential skill that all women and some men learned. Clothes, bedding, carpets and tents were all woven. Weaving made up a major part of commercial production in ancient societies. While all women would have to know how to weave, some weavers, men and women, were apprenticed for several years to a master weaver to specialize in the art. Woven products supplied the household with a major part of the furnishings. Woven products, garments and fabric, had a religious function and were dedicated to the building of the tabernacle which was a tent, after all. Woven products were traded between groups, and were presented to royalty. Purple yarn or fabric was on the same level as gold as a commodity. According to strict laws in the Roman Empire only the imperial family could wear all purple. Magistrates and officials, as well as Roman priests could wear purple bands woven into their togas and robes. The production of purple yarn was a specialized industry. Weaving was a skilled artisan activity and was undertaken in groups. It brought income into the family. No woman today can imitate the function of weaving in ancient nomadic society by setting up a loom in her home. I know many women who weave, and most do it as a hobby, an expensive hobby. A very few design and sew custom clothing which they sell at a premium. Although men also were involved in the weaving industry, it was a domain where women participated fully. We see in Proverbs 31 that weaving was an important skilled activity. In the New Testament, Dorcas was known for sewing for the poor, and Lydia was known as a trader in purple. This may have been purple yarn, fabric or clothes - I can't tell for sure. Not only was weaving extremely important - essential, that is - it was also a highly creative activity. This article gives you some idea of the complexity of fabric and carpet production. This was the domain of women. In short, if we were to imitate biblical womanhood today, it would not be about staying at home to care for the children in isolation from society and commerce. The woman would still be integrated into the commercial life of the community. Its hard to think of how we could imitate that today and stay at home. Some women renovate their house, taking on building tasks, and then reselling, or buying and renovating rental property. Others work in education so that their hours of work imitate the hours that their children are in school. In my view, there are no hard and fast rules about how women today can reconcile different commitments. However, I do know that staying at home, raising children and creating a supportive atmosphere for one's husband by keeping an attractive home, worthy as all this is, does not imitate the lifestyle of a biblical woman. Biblical women were driven by the entrepeneurial spirit, to work, to initate and complete their projects. We need to follow that model. After writing about 1 Tim. 2:12 on the BLT, in response to this post about Wright's explanation of this passage, I found myself asking a few questions about 1 Tim. 2:14. It seems counterintuitive. Women are crafty, women are gullible, which sexist notion is more easily supported by the biblical text? 1 Tim. 2:14, "And Adam was not the one deceived; it was the woman who was deceived and became a sinner," is one of the most puzzling verses in the Bible. It does not describe the women of the Bible at all. In fact, quite the reverse. First, women who considered wise counsellors, and second, women deceived men all the time in the Bible. Let's look at these two situations. Clearly, women had skill (wisdom) in the same way that men had skills (wisdom.) Other women who give much needed and respected advice are Deborah, Esther and Huldah. 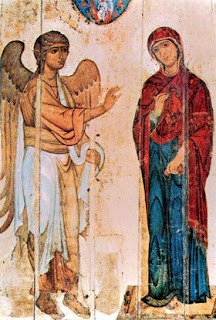 But recently my attention was drawn to the wise woman of Abel. 22Then the woman went unto all the people in her wisdom. And they cut off the head of Sheba the son of Bichri, and cast it out to Joab. And he blew a trumpet, and they retired from the city, every man to his tent. And Joab returned to Jerusalem unto the king. 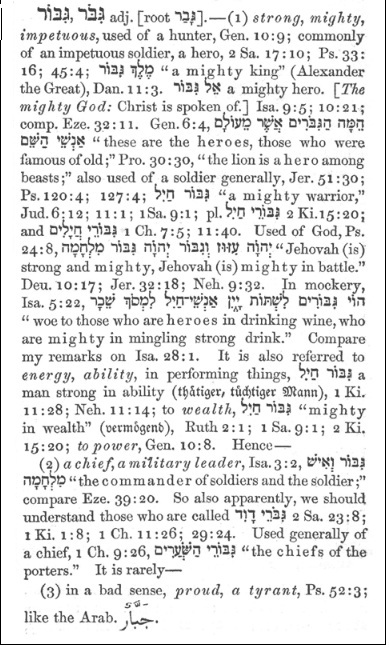 2 Samuel 20:16-22. Is there any suggestion here that women are more vulnerable to deception than men? Did the ancient Israelites believe that? I find it hard to accept that it was a pervasive belief that women were more prone to being deceived than men. However, perhaps this had shifted by the time 1 Timothy was written. On the other hand, since women had less political and legal power than men, they often attempted to exert control over men in other ways. A man could overrule his wife, and it would be thought of as normal and right. But a woman could not overrule her husband. If desperate, she must resort to some other means. She did not have the same legal power as a man. Some women who deceived men, and in this way furthered the narrative in the Hebrew Bible, and possibly the will of God, are Rebecca, Leah, Tamar and Delilah. Perhaps you can add to this list. Paul follows his ban on women teachers by reiterating sound teaching that counters the false teaching. For Adam was formed first, not Eve, like the cult of Artemis and the gnostics taught. He then points out that Eve became deceived and sinned. This is hardly the basis upon which to claim female-superiority and divine knowledge. Eve did not do a noble thing or liberate the world; she was tricked into violating the command of God. It’s important to note that Paul is not arguing for male superiority, just refuting female superiority by pointing out the facts of the creation account. He is not implying that because Eve was deceived all women are prone to deception or because she was created second that women may never be entrusted with the ministry of the word. Directly after refuting this false teaching, he moves onto the childbirth subject. I am delighted to announce the debut of a new blog, BLT - Bible*Literature*Translation at BLTnotjustasandwich. The bloggers are Theophrastus, of What I learned from Aristotle, also long known as an erudite commenter on many biblioblogs; Kurk from Aristotle's Feminist Subject, now #24 in the top 50 biblioblogs, and Craig R Smith, translator of the The Inclusive Bible, The First Egalitarian Translation. Welcome to the blog named BLT. It is not just a sandwich. It stands for a set of topics that we hope to discuss: Bible, Literature, and Translation. We’ll talk about the Bible as literature and the literature of translation and the translation of Bibles and the translation of literature and literature of translation and Bible as a translation and literary translations of Bibles and so on. And we are certain to throw in the arts, the sciences, philosophy, mysticism, religion, and pretty much everything else. The initial crew of bloggers represents a diverse set of viewpoints but one that is unified in our openness to new ideas and a fundamental belief in the dignity of all humans. This blog is open to all: Jews, Catholics, Mainliners, Evangelicals, Eastern Christians, Atheists, Theists outside the Judeo-Christian tradition, etc. For me a strong underlying theme of this blog is that everyone has a voice — especially people that have been traditionally marginalized. I’ll let my co-bloggers (currently J. K. Gayle, Suzanne McCarthy, and Craig Smith) introduce themselves, but I’ll simply mention that I am a professor at a US university with strong interests in applied issues in linguistics. There won’t be any bacon or other treif meat in my posts, but there will be lots of substance. I look forward to hearing from you. And here is a provocative first post about translation. Is this a good translation of the French title? How women of African descent feel when they see this title? The word “Negress” in 2011 is shocking to see – certainly it does not have the same meaning that Négresse had in 1926. Or is the title meant to be ironic (in the same way that the sculpture certainly is)? What do you think would be a better way to translate the name of this sculpture into English? I am going to hop over and continue commenting. Come join us! I have just read Sky Burial by Xinran. In The Blue Sweater, I read about Africa, and in Sky Burial, about Tibet. Surprisingly, there are few constants in gender roles globally. In Africa, women till the ground and harvest. They run businesses and provide for the children. The real problem has been that they were often not able to carry out banking or take out loans without the signature of their husband. In Tibet, according to Sky Burial, women carried water, cared for animals, made butter and cooked, but the men acted as midwives and undertook complex embroidery. This contrasts with China, where the detailed embroidery is done by girls and women. In Egypt men wove, but in Israel, usually women wove. Originally, the term spinster did not mean a single woman, but any woman spinning. And women spun. If you want to refer to the mother's side of the family, you could refer to the distaff side. This was work that was firmly in the woman's domain. However, once it came to dyeing and weaving, that could belong to either men or women, depending on the technology and culture. In agricultural societies, women spun and wove flax. In nomadic societies they spun wool. The traditional belief about women and work has always been that just as men had work, so did women have work, and women also nursed their babies. That's just the way it was. There was no contrast between the orientation of men and women regarding work. Both worked with their hands. If the family was wealthy, neither worked with their hands. The notion that it is right and good for me n to go out to work and seek a career, that men are generally oriented to work; and that women, by contrast, are generally oriented to relationships of support and companionship, is about one generation old. The man as provider, and the woman as receiver, is a paradigm that does not exist anywhere in the Bible, or even in history, until now. Perhaps, at this point in time, where women are equal before the civil law, some are trying to find a way to withdraw women from the mainstream. In the ancient world women harvested, threshed and ground grain as well as preparing and cooking meals. Women also cared for animals and carried water. Everyone worked. It's the same on a farm today. Rebecca cared for animals, and provided water for Eliezer's camels. This is the kind of work that all women were responsible for. But women also specialized. Many were midwives and nurses, and a few were prophets, judges, musicians and queens. At least one woman built cities, 1 Chronicles 7:24, "His daughter was Sheerah, who built Lower and Upper Beth Horon as well as Uzzen Sheerah." In times of crisis, women worked alongside men, repairing the walls of Jerusalem, Neh. 3:12, "And next unto him repaired Shallum the son of Halohesh, the ruler of the half part of Jerusalem, he and his daughters." Jael put a tent peg through the enemy's head. It was woman's work to set up the tents. Woman's work was comparable to man's work. Both were physical and tiring, requiring strength and endurance. For those living a subsistence lifestyle, many tasks, those of both men and women, were repetitive and mindless. The goal was survival. For those with wealth, there were different patterns. In Proverbs 31, the husband was a scholar or judge, and the wife was a business woman with a household of servants or slaves under her direction. Both held positions of influence and dignity. Among slaves, men and women both worked hard. But even then, among the poor there was specialization, some women adept at being midwives, others at composing songs, performing music and dancing. Women were known for their specialization, just as men were. The children were not simply cared for. They worked alongside their parents. Young children were often cared for by grandparents as is the case in many cultures today. This frees up the mother to work at a wage-earning job and contribute financially to the family. Women in the Bible were not simply consumers of goods, and carers of children. They contributed economically to the family. I am hardly advocating that we return to this state of affairs. I had a friend who grew her own wheat and ground her own flour. But she had the advantage of technology. I wouldn't want to work in the fields all day, or carry water on my head, or grind grain. But this is a large part of women in the Bible did. We can't all of us be judges, prophets and musicians. One thing is clear, however. Women have an orientation to work. At least, they should have. Just as men should. Women need to work to provide for their family. The only catch is that they have to do this while also bearing and nursing children. Women, like men, are driven to work. It is a part of being human. They are like men in this way. However, they are unlike men, in that they also have to figure out how to do this at the same time as reproducing. A curriculum which contrasts men and women, and teaches that men have an orientation to work, and women have an orientation to nurture, is not honest. It does not prepare women for the reality of both work and children. Unfortunately, not all women resolve the tension between working and bearing children. Some women never do have children, and other women stay home and restrict their work to caring for their husband and children. But many women have the opportunity, or the need, to combine an expanded working life with raising children. It is not always possible to control the pattern that your life will take. The only thing we can say about a woman's life in the Bible and today for a certainty, is that it includes both an orientation towards nurturing and an orientation towards work. I am reading The Blue Sweater by Jacqueline Novogratz. She has worked in Africa and Asia for over 25 years, learning how to administer funds, providing grants and loans to small businesses. She is the CEO of the Acumen Fund. The Blue Sweater is a must read for anyone interested in donating funds. This book is an account of one woman whose energy for work and innovation has contributed to changing the lives of hundreds of thousands of people. She speaks solemnly of the waste and detrimental effects of donated funds unless they are properly invested in income producing industry which is shaped by the recipients themselves, and creates and sustains profit. She openly discusses many failures that she has seen or been a part of, as well as the successes. This is a book rich in detail and example. I had no intention of discussing women tilling the soil when I first thought of women working in the Bible. This is for the very simple reason that women of the Bible did not typically participate in this labour. As I mentioned, it is not a universal truth that women do not till the soil. But it is particular to certain cultures, including the cultures of the Bible. This is the general pattern internationally and historically. When tilling the soil is a task accomplished with a hoe, then women tend to be the major workers in the field. When tilling the soil is done with a plough and oxen or slaves, then men are the major workers of the soil. Plough cultivation is male dominated, and hoe cultivation is female dominated. Although we cannot imagine that Adam and Eve had oxen and plough, the narrative of Adam and Eve was composed within a culture in which farmers did use oxen and plough. Tilling the soil was a male dominated activity as a consequence of the technology available in the Middle East at that time. Today, hoe cultivation dominates globally, and women make up the majority of those who work the soil. It is therefore not a universal truth that women are oriented to the family, in contrast to men who are oriented to work in the fields. The pattern that is most prevalent in the world today is that women are oriented to their family and to the soil at one and the same time. These patterns are dependent on culture and technology. We might, on the other hand, think of Adam and Eve as occupying the transition era between hunter-gatherers and farmers. In this case, it is likely that men were still hunting and women both gathering and experimenting with the cultivation of plants and intiating the first planned crops. In this case, Eve would likely be the first farmer, and not Adam. 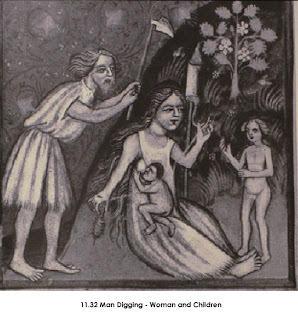 These are speculative thoughts that present some of the difficulties in imagining that Adam and Eve exited the Garden of Eden, whereupon Eve stayed in the home and cared for her children and Adam tilled the soil with a hoe. Such a scenario presents serious questions and is not consistent with what we know about the development of agriculture. But as I said, this is speculation. I cannot fill in more details since little is known about the very early origins of agriculture. However, we can say for sure that the participation of women in agriculture is a culturally diverse paradigm. While the subordination of women is near to universal, the dominance of men in tilling the soil is far from universal. In conclusion, I will soon discuss the work that women did in an agricultural economy, but I will not contest the cultural pattern found in the Bible, that men tilled the soil. However, I do contest the notion that there is any sense of universality in this pattern. We are unlikely to persuade the world today that women should not be full participants in all areas of agriculture. This is often taught in conjunction with the notion that women stay home and nurture the children and create an environment that is supportive to the husband's career. The major tasks of women would be to bear and raise children, to cook and clean the house, and see that the family is well supplied with clothes and other goods. These clothes and goods are bought with money earned by the husband, who is the "provider." The main teaching role of women in this model is to teach younger women to fulfill these tasks. 2:15And the LORD God took the man, and put him into the garden of Eden to dress it and to keep it. 3:16Unto the woman he said, I will greatly multiply thy sorrow and thy conception; in sorrow thou shalt bring forth children; and thy desire shall be to thy husband, and he shall rule over thee. While it is true that women bear children, there has been no civilization in which men's participation in agriculture was dominant over women's participation in agriculture. Women worked the soil in ancient Israel and they continue to be participate in farming and agriculture today. In many countries women participate in agricultural work at a far higher rate than men. So I want to look at alternate interpretation for Gen. 3:16. The consequences of the fall for the woman relate to childbearing and her relationship to her husband. The consequence of the fall for the man relates to the soil. The most obvious interpretation is that just as woman was taken out of man, so the fall returns her to man. And in the same way, as man was taken out of the soil, so he is returned to the soil. We need to consider that the story of Adam and Eve has internal plot coherency that is not necessarily related to universal truths about men and women. Women work the soil and we can't get around that. Women share the physiological makeup of men, and die and decay in the same manner as men. Eve returns to the soil, just as much as Adam does. But the story is not about that. The story contains the plot line that man came from the soil and returned, just as woman came from man and is returned to him. However, the woman also suffers in childbearing. Children are the main asset of women. Women wanted to produce children in order to establish their value to the family. The chief asset of a man was land. Just as Rachel schemed to bear children, and Rebekkah manipulated Isaac in Jacob's interest, so men schemed over land. This does not mean that men bear an intrinsic relationship to the land that women do not share. Far from it. But it does mean that, in the creation narrative of Gen. 2 and 3, the male bears a relationship to the land that the woman does not. This reflects the legal and political situation in ancient societies where women were not typically landowners. We are left now with the fact that women exclusively do bear children, but men do not exclusively own land or work the soil. Perhaps I need to qualify this last sentence. Women have a very specific but time-limited exclusive role in raising a child. Just as women are connected to the land, fathers have a close relationships to their children. A father as well as a mother suffers when a child dies. Fathers are equally invested in their children and children are the asset of both parents as is land. We can safely say that both men and women are oriented to relationships, and both men and women are oriented to work. This may look different according to the sexes, there is some truth to the varying availablity of women to work, but this is slight when we consider that women globally partipate in physical labour full time in addition to bearing children. I hope to blog about women's orientation to work and how this plays out in the Bible and in undertanding women's leadership in the epistles of Paul. I feel that it is important to respond to the teaching that men are to provide, protect, work and initiate, and that this is what makes men leaders, and women the receivers and affirmers of male leadership. 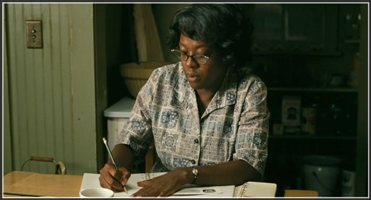 My focus will be on certain areas of women's work in the biblical narrative. Rachel is taking her place as a prominent female Christian blogger, and I am delighted. It is refreshing to see a woman take the lead in so many areas of blogging. I just want to express my appreciation for her blog. Here is today's post. She approaches the issue of women in the church with civility and persistence. but I enjoyed it! The plot was implausible - would black maids really have told their story in this way? It seems way too dangerous, truly frightening. And second, the subplot was preposterous. Suspend disbelief, tolerate some hokey and enjoy it anyway. In my view, the main character, Aibileen held centre stage with little challenge from Skeeter. She expressed the tragedy, danger and enduring pain of the maids' social situation. Aibileen was the only well-rounded character, although Celia came in a close second. Skeeter was a little too good to be true, but she drove the plot - that was her role. She is how the story came to be written. Here are two reviews that I found worth reading, Natasha Robinson and April Scissors. I chose this image because I feel that this is the pose that should have been used to publicize the movie. Aibileen is in her own home, wearing her own clothes, writing her own story. If I have any criticism it is this - that the publicity should have focused on this image of Aibileen. (This is how I would like to be portrayed.) In my mind, Aibileen is real, and Skeeter is a construct. We need to see Aibileen writing her own story, a painful one with no happy ending. For a long time, I have been reading and researching groups which are attempting to meet the needs of women worldwide - that is, both here and elsewhere. Today, I read an article about Equality Effect in the latest Chatelaine Magazine. Unfortunately, I can't find the article online so the Equality Effect website will have to speak for itself. The story was almost too sad to repeat, but it involves providing legal representation for little girls raped by fathers, grandfathers and other older men seeking a stylish engagement or a cure for AIDS. At the tiny restaurant where Xinran eats lunch, the waitress tries to kill herself twice, each time after a little girl’s birthday party. The woman is tortured by the happy faces because, thinking it her duty to produce a male heir, she had smothered her baby daughters. She survives because, as well as the bottle of agricultural fertiliser she swallowed, she drank one of washing-up liquid, thinking that any chemical in a bottle was poison. The detergent diluted the fertiliser’s fatal dose. Cycling to work one winter’s day, Xinran has a flat tyre. The woman who repairs her bicycle turns out to have been a midwife. Under the author’s patient questioning, she reveals the pricing system of her trade: three times the normal price for a first-born son; six times more if the father is first-born, too; yet more if a daughter is “done”. The trick is to strangle the baby with the umbilical cord as it emerges, and call it stillborn. Most of Xinran’s mothers submit stoically to the cruelties of “son preference” and the one-child policy. But a few go to extraordinary lengths to have more than one child. On a train journey she meets one of China’s so-called “extra-birth guerrilla troops”—families with daughters who leave home and move secretly from city to city, hoping to escape the birth-control regulators long enough to produce a son. The father rocks his daughter tenderly to sleep, as he explains the dangers of their life. At the next stop, Xinran sees the young girl talking to a food seller on the platform and waves goodbye, assuming the family has got off. But later she meets the father on the train: he has abandoned his beloved daughter to strangers because his wife is expecting another child and the family cannot hide more than one. She was the fourth daughter they had given up. My life is full of strong Chinese women. Are we providing any kind of model for women in our western world with a presidential candidate who claims to be a submissive wife? I think not. But I have benefitted from watching and learning from the financial intiative and solidarity of Chinese women. Mercifully, here we are not in the same situation with regard to our babies. But let us raise our sons and daughters to have mutual respect, and to have equal value to their families. Complementarianism has surely gone to the very top of the public consciousness by now. Those women friends of mine who claimed that it would never impact on the larger society are now beginning to scratch their heads in dismay. That is not because they are not conversant with the Bible. It is because they are. 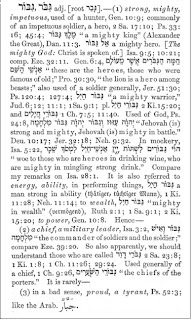 For example, Denny Burk writes against the NIV 2011 pointing out various changes from the NIV 1984, which he claims are "inaccuracies,"
But in the Genesius Lexicon, 1846, (click on the image to enlarge) "mighty warrior" which is what the NIV 2011 uses, is indeed found among the usages of gibbor. In fact, we can see that gibbor does not actually mean "man" at all, since it is used of a lion. Why should one translation be called inaccurate just because the choice among the several possible ways to render a Hebrew or Greek word in English varies from one translation to another? I have to say that I feel Dr. Burk is misleading his readers in accusing the NIV 2011 of inaccuracies. It is sad to see so many comparisons between the NIV 1984 and the NIV 2011. We were once raised to think of 1984 as the dystopian future, but according to Dr. Burk, it may be thought of represented as the gold standard of Bible translation. There has been a lot written on this topic, and I can't begin to discuss it all. Here are the posts that I have read so far by Denny Burk, Kurk and Wayne. My view on this is fairly simple. I don't think anyone who has made a vow of obedience to someone else should be elected to public office. I don't think anyone who has made a vow of obedience to someone else should be allowed to vote. We need to make it clear that vows of obedience cannot coexist with democracy. So, yes, I think Bachmann gave a reasonable answer. Mutual submission is fine, unilateral submission of the wife is wrong, and a vow to obey should be outlawed. This movie is a must see. Absolutely. Think what you like about it, but you should see it. It really takes you out of this world, this reality that we call history. All scholars of biblical studies should see this movie for historic context. 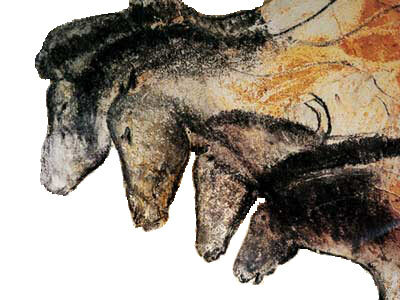 Whether these cave paintings are 20,000 years old or 32,000 years old, hardly matters. Viewing this art will reorganize your view of the history of civilization, or perhaps one's view of the human brain. How sophisticated does one need to be in order to produce this art? I will suggest some alternate thinking not mentioned in the movie. In the absence of activity in one sense, another will grow out of proportion. Stress also produces chemical change that heightens sensitivity. I have seen one website that suggests that the art is primitive and resembles the art of an autistic child. I also see similarities to the art of a young hearing impaired child that I knew. Was this artist simply expressing prehistoric artistic sense, or was he or she deaf, or isolated, perhaps stranded from the rest of the group, and experiencing psycholgical trauma of some kind, perhaps a sort of hypergraphia? Or is this a product of sophistication and training? In any case, it stretches one's view of the human race. On other movies, I also loved Midnight in Paris, for the sheer silly fun of it. Besides a tourist's view of Paris, there is also the maxim that if we go back in time to experience our "golden age" we will find others in that epoch who want to go back in time to their own "golden age." And Kurk has written about The Help here and here. As it happened, I saw Cave of Forgotten Dreams instead of The Help, and now I am not sure about whether to see it or not. Lots of other good stuff on Kurk's blog as well. I can't possibly respond to all of it, but great writing. Thanks, Kurk! If anything I said personally offended you, will you accept my deepest and most sincere apology? This is the sequence from my viewpoint. Don Miller wrote two posts on how to live a good love story, part one for girls and part two for guys. The gist of his posts, still available in cache, are that guys initiate, write the story, make it happen, and are responsible. Girls have a story happen to them. Rachel Held Evans responded here and here. Then Don deleted his posts and wrote and explanation with apology. The dicussion on Rachel's blog is about how to have a disagreement in an appropriate way. The message that I am getting is that sexism is such an integral part of the way people interact that those who say and write these things are not intending to hurt women, but they are simply not aware of the affect of what they are writing. I am truly pleased that Don Miller took down his posts. I have no idea what he will write in the future about men and women. It is truly wrong to talk about men as those who make things happen and women as those to whom things happen. That is not Christianity, and we need to make people aware of how wrong it is to talk this way. But we need to learn not to demonize those who do talk this way. They are mislead by the overwhelming sexist atmosphere in the Christian community which devalues the intitiative and responsibility that women take every day of their lives. Thanks to Don Miller for deleting his posts. Thanks to Rachel Held Evans for her honest portrayal of women as actors and agents. Interestingly, I have always dated “good Christian men.” I’ve kept myself above board in all aspects in my relationships with them. But if I’m honest, I have never been treated worse than I have in those relationships. For some reason, whether it be expectations, pressure or nerves, it seems like I leave each relationship feeling ugly, worthless and stupid. One relationship in particular left me feeling like a whore. And I don’t use that term lightly. For more than a year after it ended, I felt like a whore. And would you believe I didn’t even kiss that guy? In the three months we were together, we never even kissed. He believed it was important to wait a year before going down that road. But his words cut me deep, and it took years to repair that wound. I write this only because Mr. Miller’s blog stirred up some of the same physiological reactions I had in that three month relationship. No matter how “pure” I was…it wasn’t enough. I needed to tone down my personality. I needed to change my humor. I, who doesn’t wear revealing clothing because I don’t want imaginations to run wild, needed to cover up even more. But ladies…please hear this…that isn’t love. That isn’t grace. That isn’t mercy. That isn’t God. So, I ask that you throw that blog out the window. Sure, chase after the good things, the righteous things, the holy things. And when it comes to love, look for a man who forgives. Who extends grace when it seems like there is none to be offered. Who gives mercy when you’re certain you’re unworthy. And hold yourself to the same standard. Look for opportunities to offer forgiveness, grace, mercy and understanding. THAT is God. THAT is good. And THAT, my sweet friends, is what a great love story is.